IRCTC Par Account Banaya Jaye. gatividiyo ka karyebhar sambhalta hai. iski sathapna 27-sep-1999 ko hui thi. par account kaise banate hai. hai anil@9034 , apke user name mai number or aksar or numirical hona chahiye. STEP.3:- apko ismai apna answer dalna hai jo ki maine apko step 2 mai bata diya hai. STEP.4:- APKO ISMAI APNA SURU KA NAAM DALNA HAI. 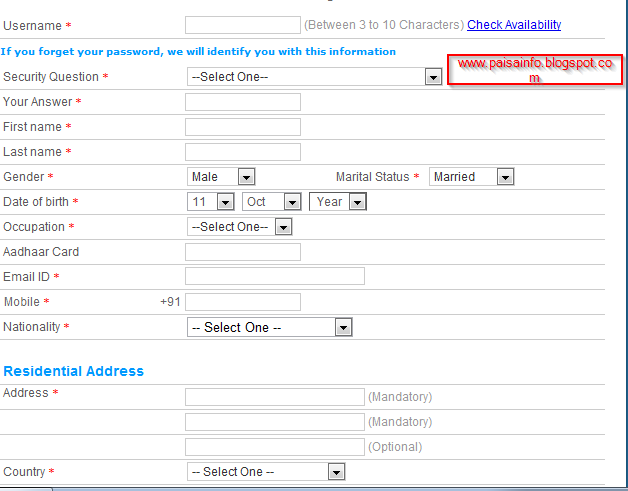 STEP.5:- ISMAI APKO LAST NAME DALNA HAI. STEP.13:- Nationality ISMAI APKO INDIAN BHARNA HAI JO KI HAMRI RASTIYTA HAI. STEP.14:- ISMAI APKO APNA PATAA DALNA HAI . STEP.15:- CONTRY MAI APKO INDIA SELECT KARNA HAI. 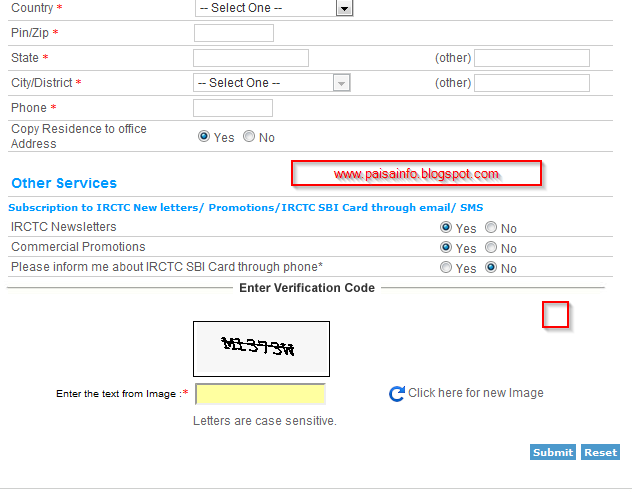 STEP.16:- ISMAI APKO APNI CITY KA ZIP/PIN/POST KA NUMBER DALNA HAI. STEP.17:- AGER APKA KOI OFFICE KA ADDRESS HAI TO NO RAKHEY AGER APKA OFFICE NHI HAI TO YES RAHNE DE. 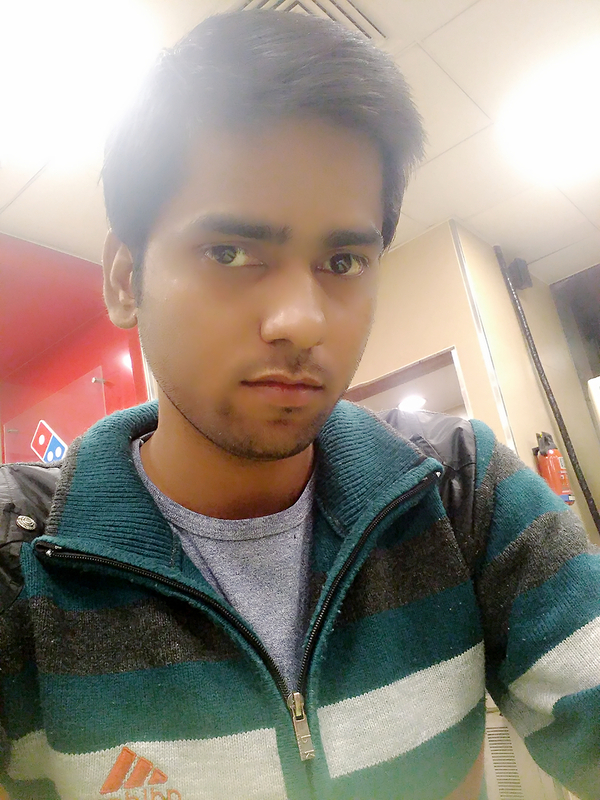 AB APKO EK IMAGE SHOW HOGI JISMAI KUCH LIKHA HOGA WO APKO TEXT BOX MAI COPY KARNA HAI. OR FORM KO SUBMIT KIJIYE . सर में आपका बहुत बड़ा फैन हो गया! 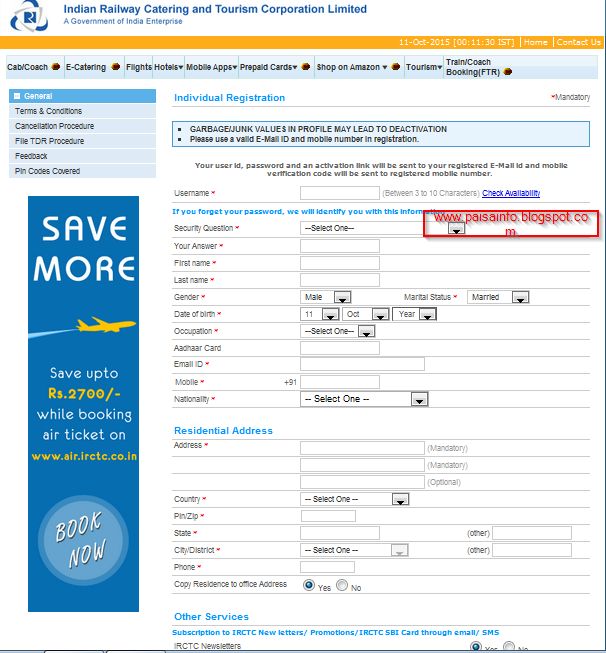 Thanks for sharing this amazing tips of create account on irctc and get detail of irctc signup for traveling trains.